"Health is a fundamental human right. Just societies ensure equitable health outcomes for everyone." Carmen Nevarez, MD, MPH, is PHI's Vice President for External Relations and Preventive Medicine Advisor and the Director of the Center for Health Leadership and Practice. A long-standing voice for the public's health, Nevarez is responsible for developing relationships with health and public health organizations and interests, advocating for public health, and incubating new project areas at the PHI. She positions the organization for further partnerships and initiatives both domestically and internationally. Nevarez is also the creator of Dialogue4Health, a web-based conferencing center that uses webinars, a social network, and other resources to encourage collaboration between the prevention community and those communities whose work impacts health. Dr. Nevarez has also served in numerous appointed and elected leadership positions. She has served as Director of Health and Human Services Department and Health Officer for the City of Berkeley, medical director of La Clinica de la Raza, an Oakland-based Federally Qualified Health Center, and medical director of the San Diego based Beach Area Community Clinic. She also was elected President of the American Public Health Association in 2009, and has served as Chair of the Board of Latino Coalition for a Healthy California, President of California Public Health Association – North, and founding chair of the Center for Public Health Advocacy. Her areas of expertise include teenage pregnancy prevention, health disparities, Latino health, chronic disease prevention, and health reform. A gynecologist and preventive medicine specialist, Nevarez maintains a part-time clinical practice. Karya Lustig, MA, ISS is the Deputy Director for the Center for Health Leadership and Practice (CHLP) at the Public Health Institute (PHI). Karya is responsible for developing and implementing strategy, direction, and overall operations for CHLP, including its academies, learning and development activities and other programs. Karya approaches her work from a systems approach and applies this methodology to all of her work. She works with leaders from a triple impact approach, coaching the leaders to impact both their organizations and their teams. She is adept at working with a large variety of stakeholders to gain buy-in and foster win-win solutions. Karya thrives in a working environment based on partnerships in order to create more effective organizations and teams. She has over 19 years experience in community health, the nonprofit sector, and school-based programs and family centers. She has provided training, facilitation, organizational development, and strategic and program planning to many organizations. Karya began her career providing direct services to disenfranchised individuals and communities and has maintained a commitment to public health throughout her career. 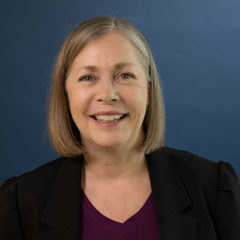 She ran her own consulting business for seven years, providing program development and evaluation services to family literacy programs, working as a lead consultant for Family Support California and doing program development, training, and strategic planning for many other organizations. Prior to joining PHI, Karya worked at a community health center where she successfully developed and ran the first staff training department in a community health center in California (one of very few nationwide), offering training to over 700 staff in three counties. Karya earned her Masters in Adult Education and Integrated Services Specialist Certificate at San Francisco State University and her Organizational Development Certificate from the Triple Impact Practitioners Program. She received her BA from Hampshire College. Outside of work, Karya loves the outdoors, local cultural events and museums, reading, and spending time with her friends and family (husband and two girls). Tonya Hammond is the Center for Health Leadership and Practice’s (CHLP) Manager of Operations and Programs. 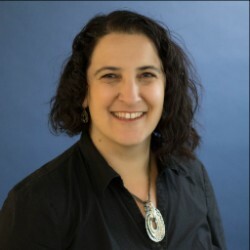 She is responsible for onsite operations, including technology, as well as the various communications platforms that connect program fellows to tools, strategies, and innovations that further their efforts in cross-sector collaboration. In this position, Tonya invests in understanding leadership teams’ aspirations and supports their development. She is responsible for producing webinars, facilitating Communities of Practice networks, and developing weekly programmatic newsletters. These activities support the advancement of leadership development through the delivery of curriculum via long-distance learning. 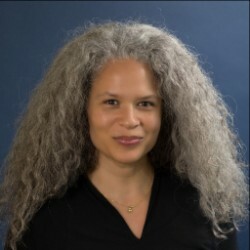 With over a decade of experience in public health and health equity work, Tonya came to CHLP from the Public Health Institute’s central office and, prior to that, its program, Partnership for the Public’s Health, which focused on childhood obesity prevention. Her career also includes food access work with the Alameda County Community Food Bank. Tonya holds a Master of Public Health from San Francisco State University and a Bachelor of Arts degree from Claremont McKenna College. Ms. Barnett implements and coordinates logistics, develops collateral materials, and assists with the program’s national, state, and regional convenings to ensure event success. In addition, Ms. Barnett manages the day-to-day fiscal monitoring and grant administration of the Center. Ms. Barnett lays the groundwork to bring together a multitude of cross-sector professionals by supporting public health leadership projects and policy initiatives. Prior to joining the team at CHLP, Ms. Barnett worked in office administration at an education nonprofit that provided college education to inmates at San Quentin State Prison. Ms. Barnett received her Masters in Human Rights Education at the University of San Francisco and her Bachelors in Psychology at Agnes Scott College. 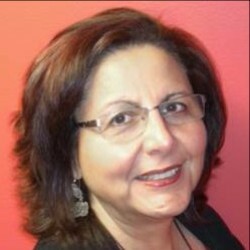 Elva Castellanos is the project coordinator for the Center for Health Leadership and Practice. She started her career with the Public Health Institute in 2008, working with the Mesoamerican Health Initiative (MHI) as program coordinator and has worked in several other PHI programs since. Most recently, she worked with the California Adolescent Health Collaborative (CAHC) supporting their programs in a variety of ways, including working with and training health educators and case managers in the Central Valley in the Fourth R curriculum for the H-REP program, and facilitating community mapping sessions for the Young Mother Researchers Program which focused on engaging breast-feeding young mothers in community based participatory research. She holds a Master Trainer Certificate from the University of Western Ontario on the Fourth R program. Elva enjoys dancing, traveling to exotic places with her son and daughter, and spending time with her family. Ms. Lancaster, who joined the Center for Health Leadership and Practice (CHLP) in 2012 as an Administrative Assistant, works at the epicenter and supports CHLP’s fast-paced, dynamic team. In her day-to-day role, Ms. Lancaster is responsible for preparing correspondence, arranging partner-facing meetings/events, and maintaining quality office operations. In this customer-service, quality oriented role, Ms. Lancaster promotes the Center’s values and contributes to a work environment that is thriving and collaborative. Prior to CHLP, Ms. Lancaster served as Assistant to the Vice President of External Relations of the Public Health Institute for 13 years. She was responsible for providing executive-level support, managing the interconnection between programmatic and administrative functions. Ms. Lancaster holds a degree from Berkeley City College.